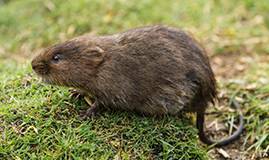 Brief description: Moles and voles are small mammals that can cause numerous problems in backyards and gardens. 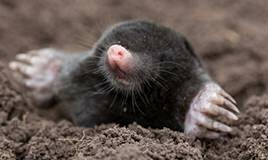 Moles live primarily underground, have tiny eyes and ears, small hind legs, and short, powerful shovel-like front paws that are perfect for digging. They can damage a lawn with their tunnels and mounds. Voles are rodents. They look like mice, but with a shorter tail and smaller eyes and ears. 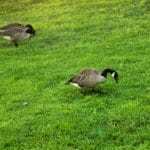 They chew plants, gnaw bark off of trees and ornamental plants, and create little trail systems as they nibble and wear down paths through the grass. Moles are chipmunk-sized mammals that spend almost their entire lives underground. They are hard-working diggers, noon and night, and can dig up to 18 feet per hour in search of food. Moles are carnivorous. Their favorite meal is worms, but they also consume slugs, snails, caterpillars, beetles and ants. Their saliva contains a poison that paralyzes their prey, allowing the mole to move the still-living food to underground storage to eat later. They construct special subterranean food storage rooms just for this purpose. Moles are anti-social and territorial and almost always live alone. 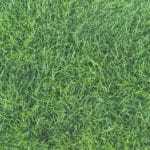 Their tunneling does aerate the soil, but it also can damage the root system of turf, causing the raised ridges of grass to wither and die. Sometimes, the tunnels can uproot and kill plants and flowers. Voles are small, plant-eating rodents that feed on grass, flower roots, seeds, bulbs, and sometimes gnaw the bark of fruit trees and shrubs. Voles are sometimes called “field mice,” and they do look like mice, except that their tails are shorter, bodies more squat, and eyes and ears smaller. Most voles do not live to see their first birthday, in part because they are a food source for owls, raptors, snakes, weasels, and even domestic cats. But voles can reproduce many times during their short lives, sometimes having up to five litters of six babies each. They will readily use the tunnels created by moles to burrow in and to gain easier access to some of their favorite foods: the roots of plants. 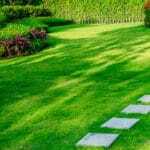 The two most common signs of mole activity are raised swelled areas in lawns and the traditional molehill. The ridges are caused by tunneling just below the surface of the ground. The cone-shaped molehill is formed by the dirt a mole excavates as he digs his deeper tunnels around his den and living chambers. Signs of vole activity include irregular patches of gnawed bark around the base of small trees and plants, particularly in the fall and winter, and little, one- to two-inch wide runways across the surface of the lawn where voles make frequent tracks. Look for a vole’s burrow in the lawn or at the base of a tree. It will look like a small hole. Unlike a molehill, vole burrows have no piles of soil around the opening. To protect specific plants from moles and voles, dig a hole at least two feet deep and line the bottom and sides of the hole with wire mesh. Fill the hole with soil and plant. You can also dig a trench around small gardens. Voles prefer to live and breed where there are plenty of hiding spots and ground cover. Reduce the mulch, weeds, and heavy vegetative cover from your yard, and the vole population will diminish. 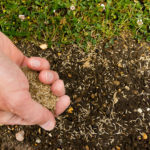 Moles love to feast on grubs, so eliminate grubs (by treating your lawn with milky spore disease or beneficial nematodes, for example) and your resident mole might go elsewhere for meals. You can also deter the mole by making its environment less comfortable. Try spraying the ground above its tunnels and the area around tunnel entrances with a castor oil concoction (available at garden supply stores) or by sprinkling cayenne pepper in the entrances. Moles also dislike the smell of tar. Dip an ear of corn in roofing tar (available at roofing or hardware stores) and place it in one of their tunnels. If these deterrents fail to evict the mole, use a mole-specific trap to kill it. Follow the instructions on the package to set it correctly, then move the trap every day until you get rid of the mole. In the most serious cases, you may need to call a pest control service to evict these furry intruders and make sure that they don’t come back.